The odd one may need a tap! 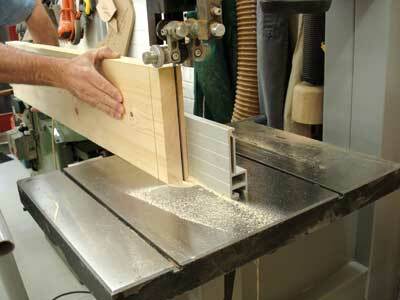 One of my least favourite tasks has always been making louvered doors using conventional methods. 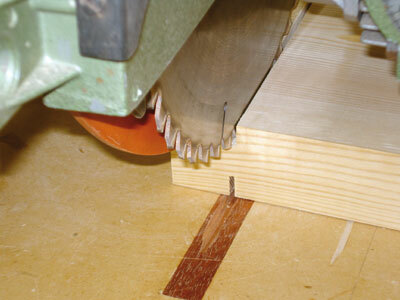 The normally accepted traditional way of making involves cutting grooves 12mm deep and as wide as the louver blades, in the inside edges of the stiles, before assembling the stiles and rails of the door and allowing the glue to set, sanding off the door and then inserting the louvers into the grooves one at a time. 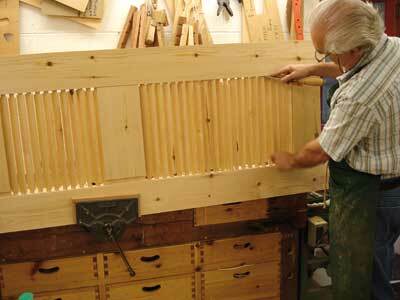 Every louver blade has to be exactly right before being secured with panel pins or small nails while the glue sets. The use of a portable power router speeds the task of cutting the grooves, but entails making a suitable jig to guide the tool. 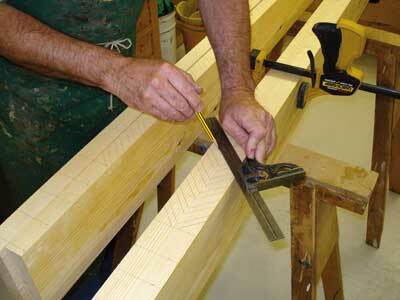 The jig needs to be clamped in place for each cut to prevent spelching of the ends of the cuts. Altogether one of the most repetitive and time consuming jobs! Some time ago it occurred to me that it might be possible to make this type of door in a more efficient and less time consuming way. My eureka moment finally came when, thinking a little ouside the box, I fitted the hollow chisel in my mortising machine at 45 degrees and used it to cut mortises to accept small tenons formed on the ends of the louvers. 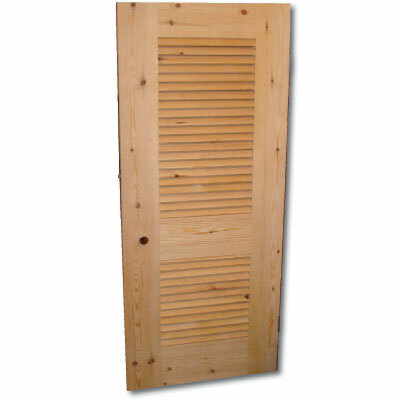 The louver positions are set out in the normal way on the inside face of the stiles at an angle of 45 degrees. In the example shown I had to make two doors for internal use, both differing in height and width, so needing to be set out individually, the spacing of the louvers being slightly different to fit the space between rails. I recommend the use of a calculator to work out the spacing; it's only the use of a "plastic brain" that's saved my organic model shrivelling to the size of a walnut while trying to do this sort of job! Obviously the thickness of the louvers needs to be the same as the chisel size, and in this case 10mm was the chosen size. 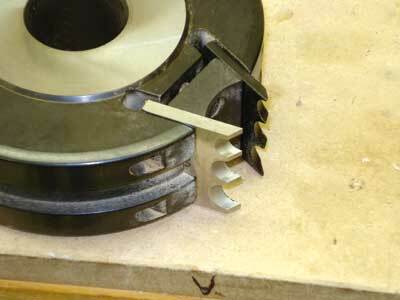 The auger of the smaller size hollow chisel mortising tool is prone to break prematurely if it's not kept sharp, so both parts of the tool were treated to a sharpen up before starting. 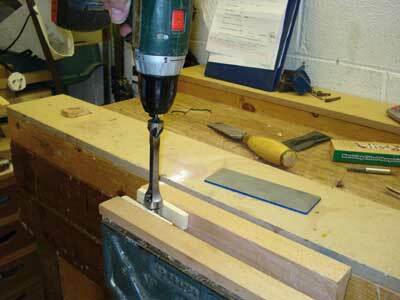 A 10mm mortise was also a suitable size for the rail/ stile joints of these 35mm thick doors, so the mortises for the main construction of the door are cut first with the hollow chisel fitted in the normal way. 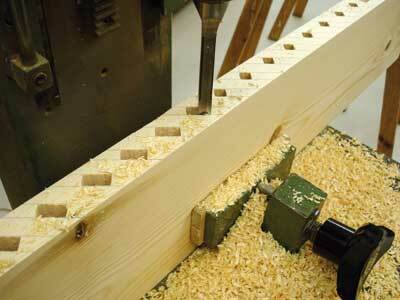 The chisel securing device is then slackened off and the chisel turned through 45 degrees to mortise for the louvers. 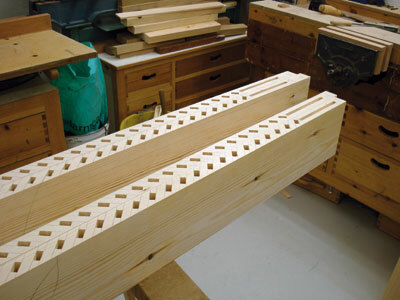 A mortise 20mm X 10mm is adequate for the louvers, obtained by cutting a row of 10mm square mortises, 40mm deep, working from each face of the timber, ensuring that they meet in the centre. 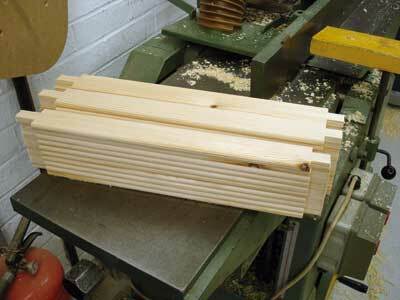 The best way I've found of making the louvers themselves is to cut a large tenon on the ends of a piece of the widest timber you have available, and then slicing off the required number of louvers at a thickness that will then be planed down to 10mm using a thickness planer. 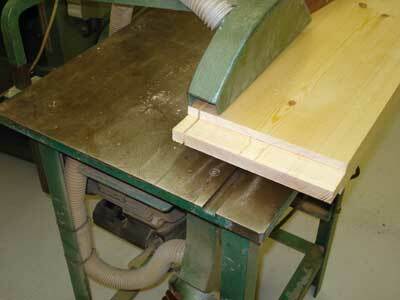 The long edges of the louvers can be left square, chamfered, or rounded using a router or spindle-moulder. The assembly of all those joints at one time would be difficult without a cunning plan! 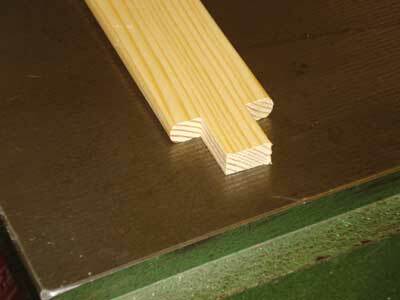 ?The basis of the plan is to make the tenon lengths 40mm at one end of the louver and 25mm at the other. 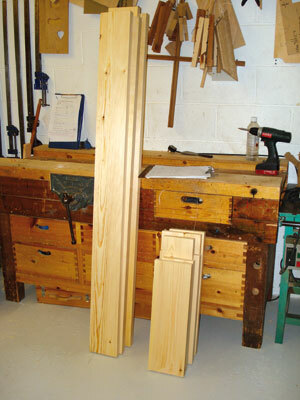 With the 40mm tenons inserted in one stile, the door is assembled to the point where the 25mm tenons are close to touching. They are then pushed into their mortises one by one, with no possibility of the 40mm tenon coming all the way out of its mortise. 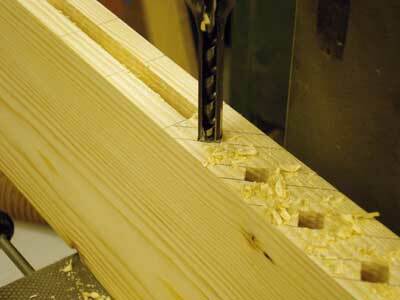 When all the 25mm tenons are located, the door can be finally cramped up tight. 1. 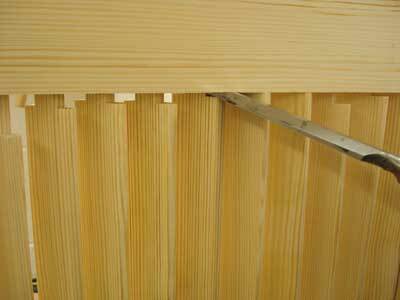 Total accuracy is required when ensuring that the shoulder width of all the louvers is identical to those of the horizontal door rails. 2. 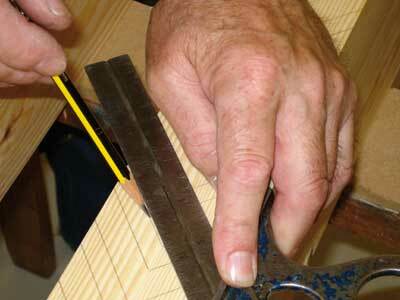 All the tenons must be an easy fit; you can assemble one slightly tight joint by hand without difficulty, but not several dozen at the same time! I haven't used any other angle than 45 degrees, but the system will obviously allow the use of steeper or shallower angles for the louvers. 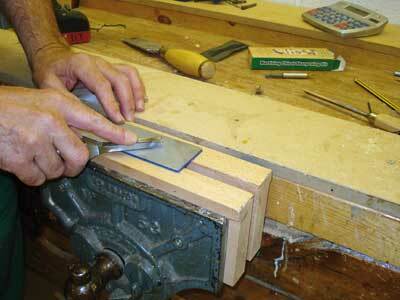 If you are not equipped with a mortising machine, I see no reason why the system shouldn't work as well, if not quite so quickly, with mortises cut with a router. 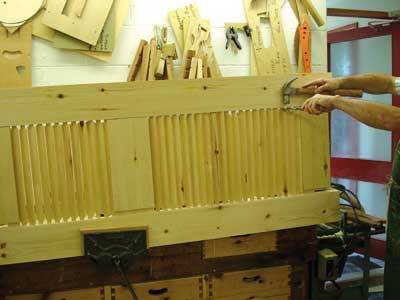 After making a dozen or so doors using this method, I certainly wouldn't be keen to revert to my old ways! 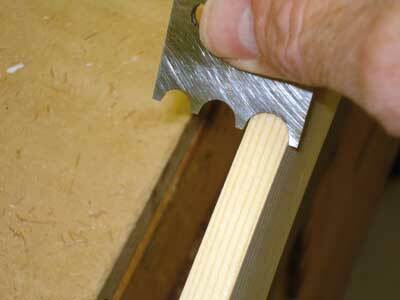 Cutting a mortise for a mortise and tenon joint can be slow and laborious when done by hand. 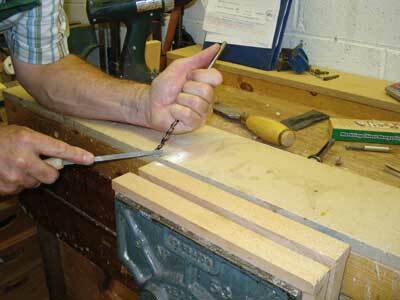 A chisel mortiser is a precise and quick way to cut mortises repetitively. It consists of a motor head with a chuck that holds various size auger bits that fit matching hollow square chisels that fit around the auger. 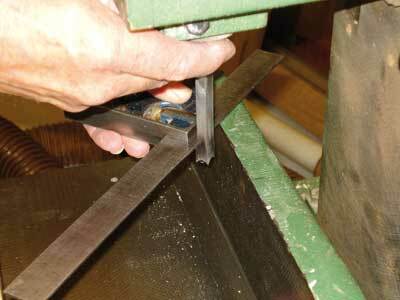 A large vice holds the workpiece and the motor head is pulled downwards using a long arm thus making the chisel cut into the wood and making the cut. 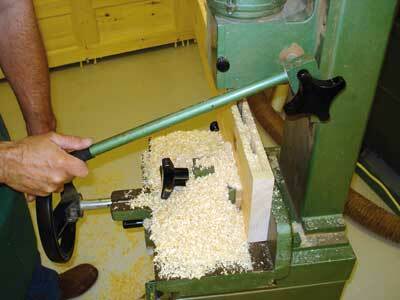 The vice can moved by a handwheel so the mortise can be enlarged easily. 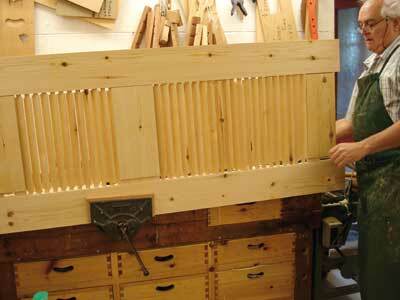 "The thickness of the louvers needs to be the same as the chisel size"